In 1994, the Truong family opened its doors for the first time on S. Grand Blvd as a Vietnamese Specialty Sandwich shop, appropriately named BANH MI SO #1 which is translated to mean "# 1 Sandwich". Word quickly spread throughout the Vietnamese community praising the homemade delicacies of this small family take-out. Soon patrons began requesting the much craved spring rolls that have made BANH MI SO #1, the crown jewel of Vietnamese cuisine. 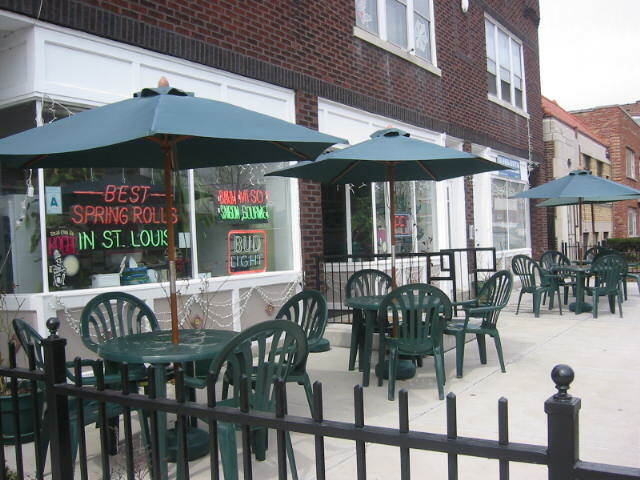 In 2000, BANH MI SO#1 expanded its facility to accommodate the demands of its patrons with a new dining room, outdoor patio, and private room for parties. Today, it is known as BANH MI SO#1 - SAIGON GOURMET. Today, we cater to all tastes including vegetarian and vegan. By using fresh herbs from our garden and locally sourced ingredients, we honor the taste and culture of Vietnam. Come experience our unforgettable dishes and family atmosphere.